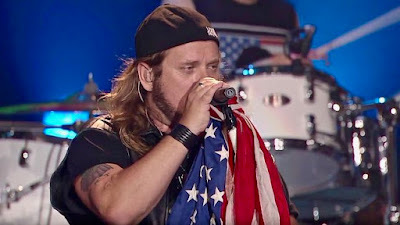 The project captures the band’s June 23, 2006 appearance on the VH1 series “Decades Rock Live!”, where they were joined by guests 3 Doors Down, Hank Williams Jr. and American Idol singer Bo Bice. “Lynyrd Skynyrd: Live In Atlantic City” is now available as CD + Blu-ray Digipak (limited first print run in fake leather), 2LP Gatefold+download, DVD, Blu-ray, and digital formats. The group are currently playing shows on The Last Of The Street Survivors Farewell Tour, which was recently extended to the end of the year with the addition of a new leg of US dates this fall.